See available Alaqua condos for sale. Spacious residences Alaqua Aventura FL. Great and convenient location close to everything Alaqua Aventura for sale. Spacious Alaqua condos for sale Aventura Florida offer one, two and three bedroom residences. Amazing Mediterranean condo complex set up as a garden courtyard on the waterfront. 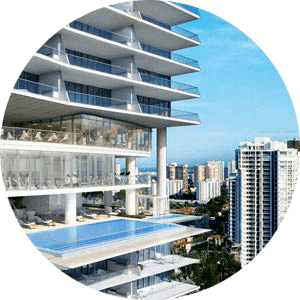 A small condo complex Alaqua Aventura with its 192 residences, modern design condo, great views and open floor plans is a great place to call home. Need more information or would like to schedule a showing to see condos in Alaqua Aventura for sale please Contact Us or give us a CALL 786-505-4786. Alaqua condos a modern Mediterranean style condo complex. Located on the canal waterfront in the City of Aventura Florida. Condos for sale in Alaqua complex offers luxury spacious one, two and three bedroom residences with full-service amenities and service. The management office is located on premises to better assist the residents if any issues arise. 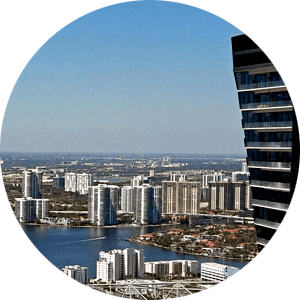 Located at 3001 185th Street in Aventura Florida, Alaqua condos complex is within a short walking or driving distance from shopping, restaurants and all major roads. Enjoy this private set back community of newer condo residences built in 2007 as a new condo complex. Contact the condo association for more specific questions pertaining to the management at 305-796-4910. Alaqua Condos mid-rise condo complex at six stories high and only 190 residences in total. Courtyard entrance and gated community with security. Condo units feature newer appliances with modern fixtures. Open floor plan layout and 10 ft ceilings as well as hurricane proof window and doors. Split floor plans with large terraces and beautiful lush garden and water views, depending on which line the unit is in. Alaqua Aventura for sale condo is a pet-friendly complex with regulations to pet size of no more than 20 lbs. Association does charge a $500 dollars non-refundable pet deposit. Condo fees range in the $600 per month price range depending on the size of the unit and include common things like pool, gym, cable, water trash etc. 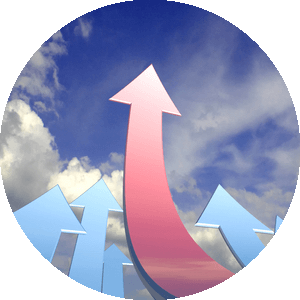 Also, the standard application and screening application of approximately few hundred dollars depending if a buyer is a foreign national or a US citizen. A great place to call home Alaqua Condos for sale is a desirable complex. For more info on condos in Alaqua Aventura for sale or any other complex in the area give us a call at 786-505-4786.